I wanted to share a recipe that I made over the weekend that would be perfect for the upcoming holiday weekend. It was ridiculously good. I first spied this recipe on Pinterest and had been dreaming of making it, so on Saturday morning I did. It was super easy to whip together, took no more than 10 minutes. The cinnamon rolls with the eggs, cream and icing was pure decadence. This would be great for Christmas morning as well. I made a little extra icing to drizzle over ours just mixing powdered sugar and a little water because we love icing round here. I feel like the cinnamon roll containers never have enough icing in them! Recipe adapted via Mighty Mrs. In a bowl, beat together eggs, cream, flour, cinnamon, nutmeg and vanilla. Open canned cinnamon rolls, slice each cinnamon roll into eighths. Place cinnamon roll pieces into the bowl of egg mixture and toss to thoroughly coat. Then pour the pieces, coated in egg mixture, into the greased baking dish and spread out evenly. Any remaining egg mixture, you can pour or rush over top of areas that look like they might get dry. Sprinkle with pecans. Remove french toast bake from oven. Warm icing from cinnamon rolls in microwave for 15 seconds; pour evenly over cinnamon roll pieces. Sprinkle with powdered sugar or top with maple syrup if desired. Serve warm. My Go to outfit for Thanksgiving Day is always a blouse and jeans. I rounded up a few of my favorite blouses if you are still looking for the perfect T-Day outfit. They are all from Shopbop so you can select 2- day shipping and get them by Wednesday! I own the Free People Blouse in 2 colors. It is also cute with leggings since it is longer. I love the colors of the Clover Canyon Blouse as well. A few options under $100. The Ella Moss Blouse has a gorgeous lace back. I own the D.ra blouse and it is a great fit. It also comes in ivory which would be gorgeous for the holidays with a fun statement necklace. If you need jeans recs these are my two favorite pairs. 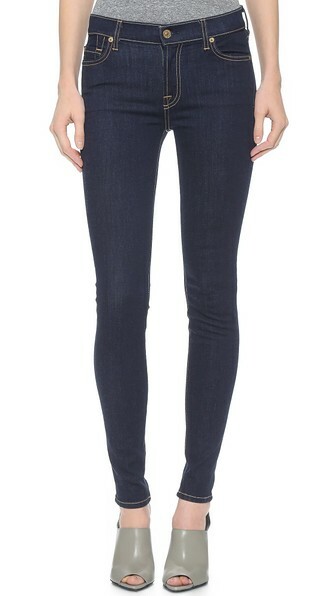 Rag and Bone Ripped Skinny jeans | 7 For All Mankind "The Skinny"
Congrats and I will email you with details! We make something similar here, and it's a big hit! Can't go wrong with sweets for breakfast. Have a good holiday! I'm drooling over that cinnamon roll casserole! I think I'm adding that to our Christmas brunch menu. Both of those jeans are my favorite. I think I'll make that thanksgiving morning. Yum! Looks very yummy !!! Thanks for sharing the recipe !